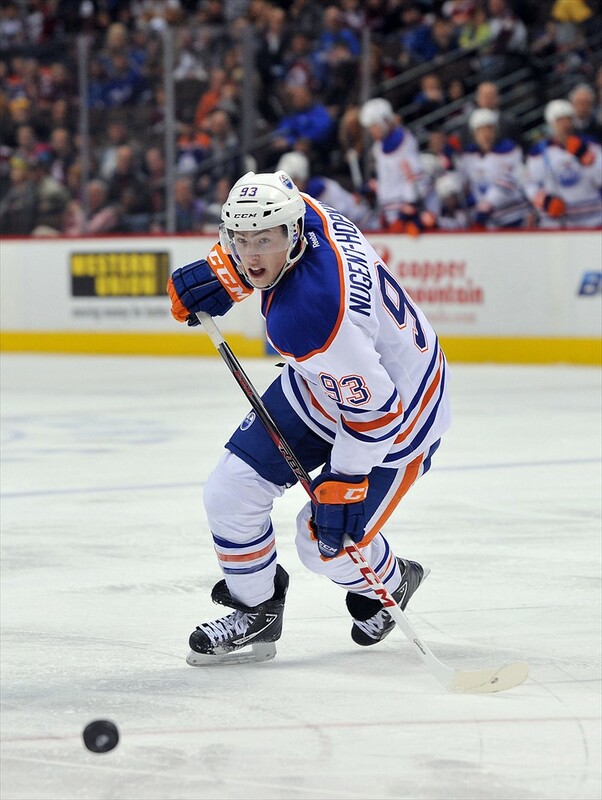 Ryan Nugent-Hopkins is starting to come into his own. In this, his fourth NHL season, he is growing into the role of an elite No. 1 centre. His 10 points on the year, while they lead the Oilers, won’t put him near the league leaders or jump off the page at you. 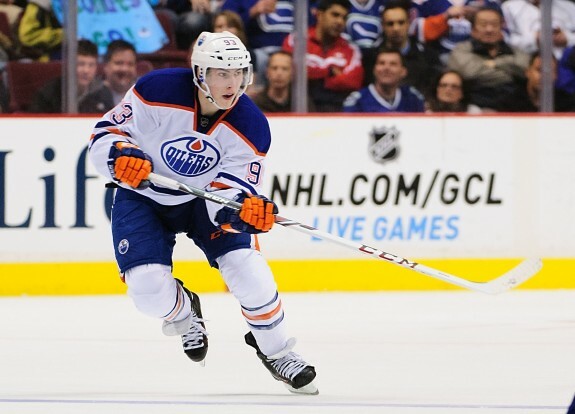 However, when you watch RNH game to game, the progression in his game is evident. There are a number of reasons for the improvement in his game. Maturity and another year of experience certainly are a factor and that he is far more aware of what it takes to succeed in the NHL. Health is also a factor as he missed the start of last season with a shoulder injury and took awhile to get his feet under him. This season he has been able to hit the ground running. A renewed offseason training program has been apparent, as he is physically much bigger and stronger than last season and has been much stronger on the puck in the early going this year. A decision to decline Team Canada’s invitation after last season to the World Championships and focus on his training appears to be paying off. It has allowed him much better puck control and has a result has created more chances as well as being able to draw more penalties and win more puck battles. It has also allowed him to log heavy minutes for the Oiler, he has averaged 20:41 per night over the first 15 games, by far the most among Oilers forwards. It also puts him in the league leaders among forwards and right around the same as stars like Steven Stamkos (20:48) and Jonathan Toews (20:38). He has been shouldering more responsibility under Dallas Eakins so far as he has been counted on in all situations and both sides of the special teams. Nugent-Hopkins leads all Oilers forwards in power play time, which is not a surprise, but this season he has also been consistently killing penalties. He has been regularly paired with Benoit Pouliot as the Oilers second PK pairing, usually following Boyd Gordon and Matt Hendricks. Similarly to the Oilers as a team, Edmonton management was hoping this would be the year RNH would put it together and make his mark as a top pivot. Signed to the same six year contract that linemates Taylor Hall and Jordan Eberle were, much of the Oilers success will be contingent on the play of its three young stars. Hall has already established himself as one of the league’s most dynamic forwards and is one of the NHL’s top left wingers. Eberle, while perhaps not at Hall’s star status, has also made his mark and has been a 30+ goal scorer in the league. He is also the only player on the Oilers to have played in an NHL all-star game. This year, it appears to be Ryan Nugent-Hopkins turn. Watching him play so far, that appears to be the case. Eakins on RNH: "Ryan Nugent-Hopkins, this kid is coming like gangbusters right now, and that's important." The key now is to take his elevated play and have it translate to team success. It would be far too simplistic, as well as unrealistic, to heap the Oilers fate on the shoulders of one player be it Nugent-Hopkins or anyone else. However, the Oilers have tied their fate to Hall, Eberle and RNH and as they go so will the Oilers. Of the three the argument can be made that the key to it all is Nugent-Hopkins. True No. 1 centres are very rare to find and by nature of the position he carries more responsibility than the other two. Especially in the Western Conference where strength up the middle is a must, the Oilers are hoping Nugent-Hopkins can be their answer to the Jonathan Toews’, Anze Kopitar’s and Joe Thornton’s of the league. He is by no means at that level yet and there are still many areas of improvement in his game needed, but early returns on his fourth NHL season are positive, and all the Oilers can hope for is continued health and improvement.